Our new and improved Italian pizza is freshly prepared with thinner, tastier dough, and finished off with even more of our fabulous toppings. No one does family dining better than us! All our main meals now come with Free Unlimited Salad so you can top up on your greens, reds and yellows to your heart's content. Pizza Hut Take Out and Dive In Meals from £8.45! 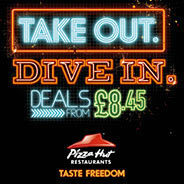 Pizza Hut Takeaway Deals from £8.45! Terms and conditions apply, see in Hut for details. Photography for illustrative purposes only. Pizza Hut reserves the right to remove or amend this offer at any time. Pizza Hut Restaurants have taken four of your all-time favourites and shaken things up. 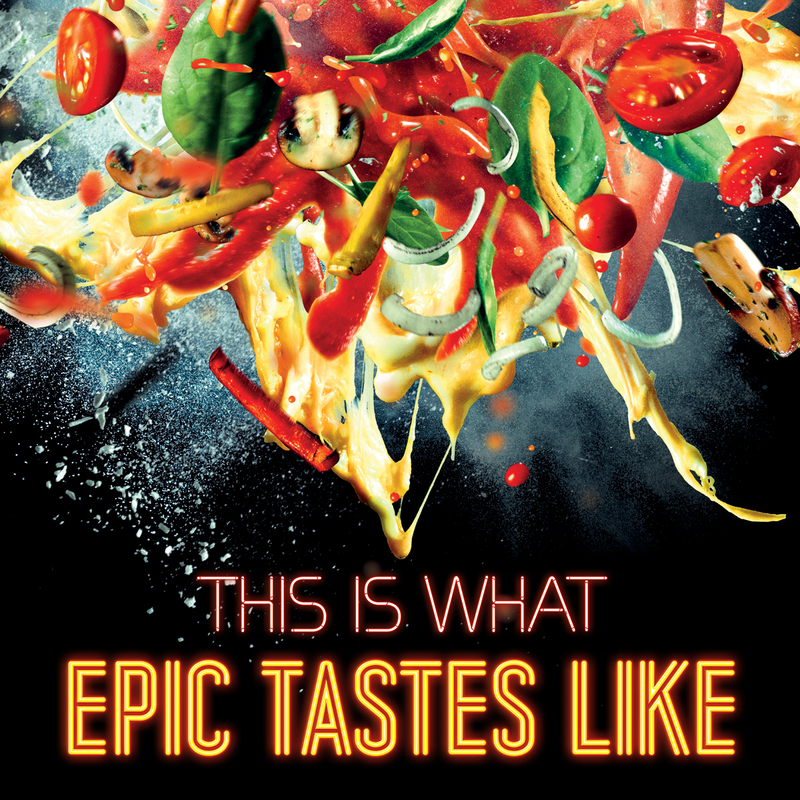 The Pizza you know and love, remixed for a maximum flavour boost. The Epic Meat Feast. Triple cheese blend, shaved steak, paprika pulled chicken, pepperoni and ham. The Epic Veggie. Triple cheese blend, flame roasted peppers & onions, garlic mushrooms, cherry tomatoes and spinach. The Epic Hawaiian. Triple cheese blend, ham, pineapple and bacon. The Epic Pepperoni. Triple cheese blend, pepperoni and chorizo. T&C’s: Terms and conditions apply, see in Hut for details. Photography for illustrative purposes only. Products subject to availability. Pizza Hut Restaurants reserve the right to remove or amend this promotion at any time and without prior notice. Pizza Hut Restaurants New Menu! 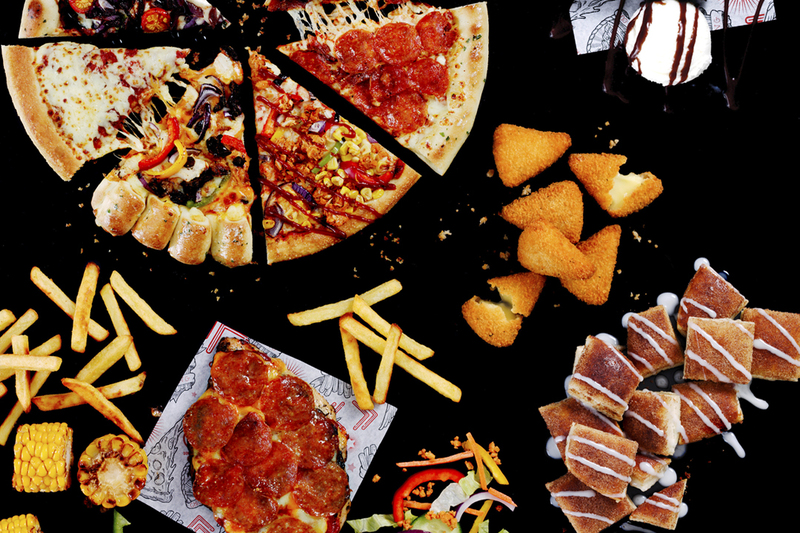 Take a look at the brand-new Pizza Hut Restaurants menu, available in all Huts right now. Brand-new Pizzas, new Chicken Melts, new Starters, new Sides, new Desserts, a Vegan Menu, a Gluten Free Menu and so much more. Basically, it's new. We think you're gonna love it. T&C’s: Terms and conditions apply, see in Hut for details. Prices vary per hut. Photography for illustrative purposes only. Products subject to availability. Pizza Hut Restaurants reserve the right to remove or amend this promotion at any time and without prior notice.